The Sheriff’s Office has recently received reports from residents who believe they may be victims of an IRS scam. In one case, the victims received a call from an individual claiming to be from the IRS. The individual told the victims that their refund check had been sent to the wrong address. The scammer instructed the victims to buy $950 worth of gift cards in order to receive the refund. 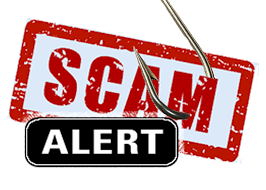 Potential warning signs of a scam include being contacted by the IRS by phone or email. Typically, the IRS initiates contact through regular mail delivered by the United States Postal Service. In addition, the IRS will not require a specific type of payment method, such as a prepaid debit card or wire transfer. Reputable businesses and organizations will never demand payment in the form of gift cards. Anyone who receives a suspicious call, email or letter from the IRS is asked to contact the IRS directly and immediately report their suspicions to the Sheriff’s Office.